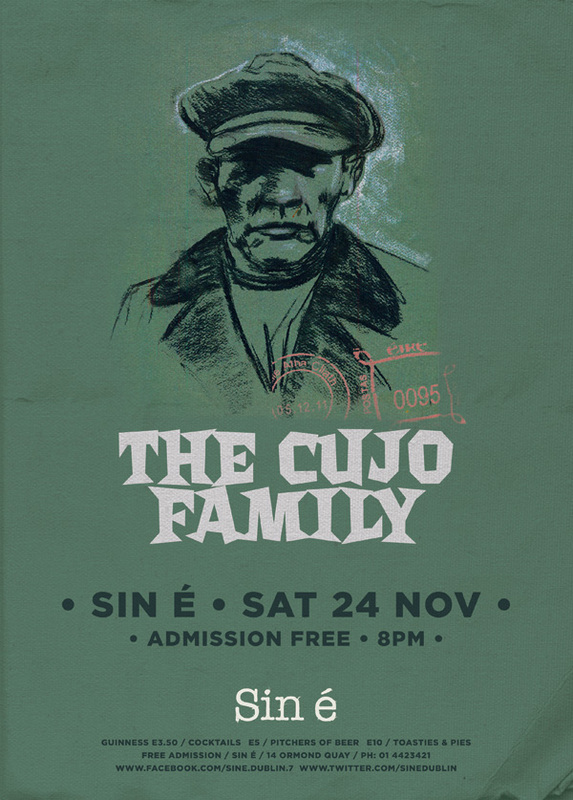 Another one for Sin é in Dublin. 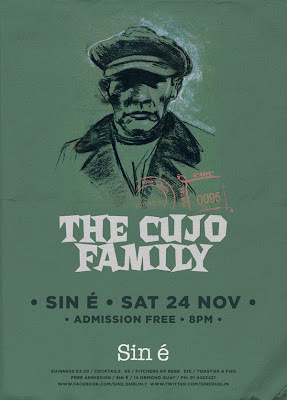 Poster for The Cujo Family. It doesn't look like it but there was quite a bit of work involved in this one. I took their album cover The Hate In My Heart and removed all the text from that and recreated the canvas texture for the whole thing. Lastly I wanted to use a font that I'd never usually use but that still fit with The Cujo Family's style.